Energetic and loving, Dutch Shepherds date back to the 1800s, and they look the same today as they did then. Dutch Shepherds are medium-sized, muscular herding dogs from the Netherlands. They have wedge-shaped heads and almond-shaped eyes. Their ears stand upright. The tail hangs down with a slight curve at the end when resting. The feet have arched toes. Coat colors include gold or silver brindle with some white and black marking possible. Note that the American Kennel Club (AKC) lists a yellow brindle color, which contradicts the breed standard and breed club. Dutch Shepherds originated in the Netherlands in the 1800s. They herded sheep, cows and other livestock as well as protected farms and signaled the presence of strangers. 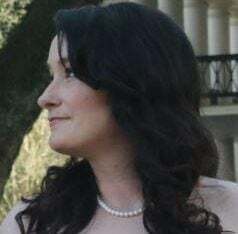 These versatile dogs were loyal and intelligent companions and workers. When industrialization prevailed later that century, the need for these dogs decreased. To keep the breed thriving, Dutch shepherd fans created the Nederlandse Herdershonden Club in 1898, along with the first breed standard. In subsequent decades, attempts at changing the breed standard and the dogs, such as crossing them with German Shepherd Dogs, did not yield favorable results, and fanciers spent years breeding out the undesirable characteristics. Today, Dutch Shepherds look identical to those of centuries past. The AKC added the breed to its Foundation Stock Service in 2012. The Dutch Shepherd moved to the Miscellaneous Class in 2017. Eventually, if the breed reaches full recognition, the dogs will be listed under the Herding Group. Dutch Shepherds are great guard and watch dogs. They are also smart and energetic, making them ideal for active families. They are loyal and protective, love children, and get along with other animals. They are calm indoors and love to run outdoors. Training and socialization, along with exercise, are extremely important. These dogs need physical and mental outlets for their high energy and stamina to prevent negative behaviors. Luckily, they’re easy to train. Because of the family loyalty and high energy, avoid kenneling your Dutch Shepherd whenever possible. 4. 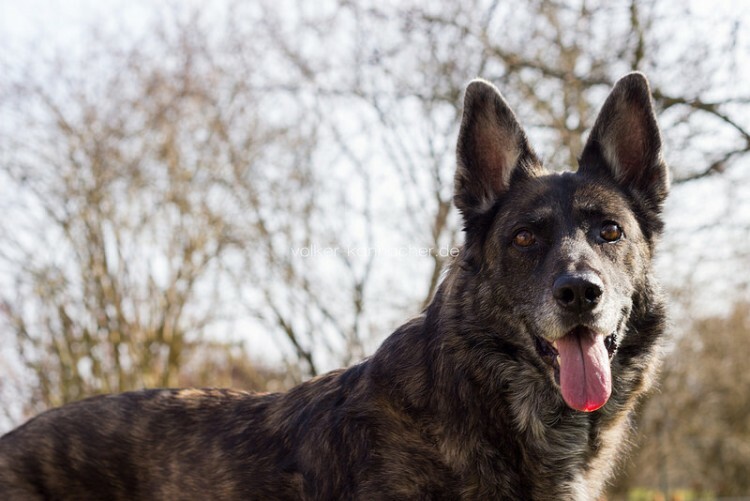 Is the Dutch Shepherd the Right Dog for You? HIGH: This versatile dog can run all day, just as his ancestors did on Dutch farms. Take your Dutch Shepherd on walks and jogs daily to help them expel energy. Even better, let your dog run all day — every day — in a private, enclosed but sizable space, such as a large yard. The breed also excels at performance events and agility, so consider adding these to your dog’s exercise routine. MEDIUM: Weekly brushing with an occasional bath will keep your Dutch Shepherd’s coat — whether short or long — in good shape. A rough or wirehaired coat needs frequent brushing as well as stripping twice a year. Don’t forget about the teeth, ears and nails. All coat varieties have an undercoat and can experience seasonal shedding biannually, so brush your dog’s coat more often during these periods. 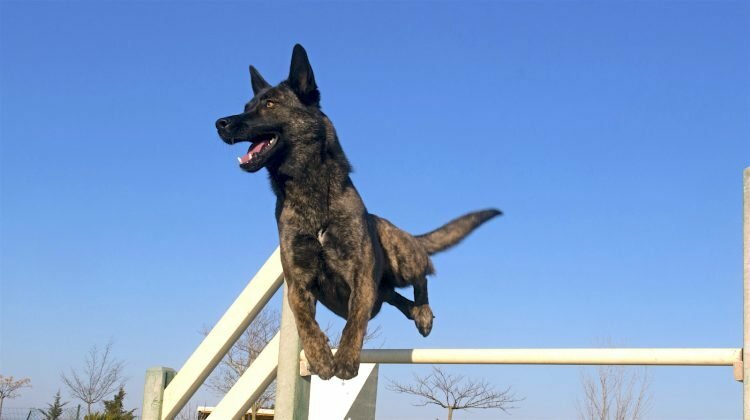 If you get a Dutch Shepherd through breeders, make sure they have performed health screenings on the dog for hip and eye issues. We found more than 150 Dutch Shepherds and mixes available for adoption throughout the country. Check your local shelters and rescues. You could also try searching our Pet Adoption Center now for a Dutch Shepherd to adopt. If you contact a breeder, watch for signs of any puppy mill operations. And, again, ask for health clearances on the hips and eyes.